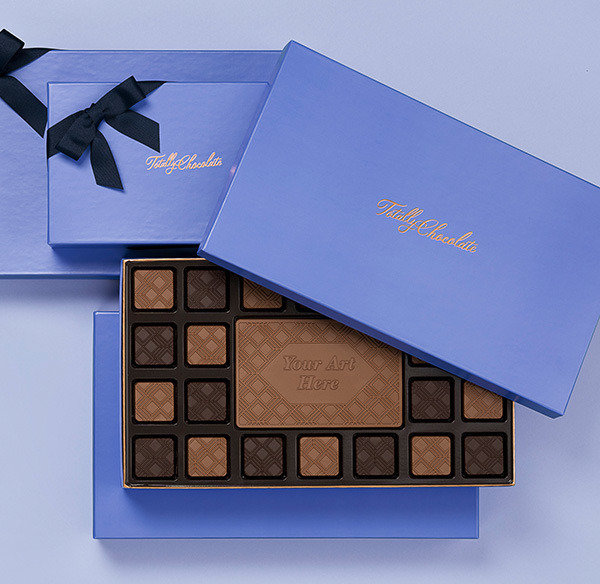 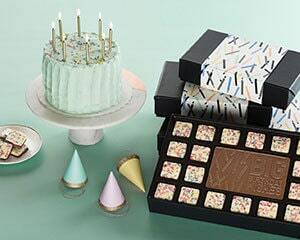 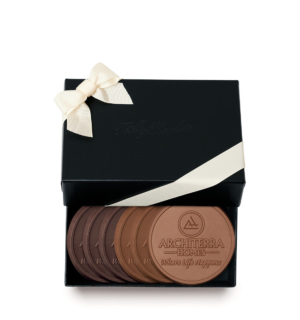 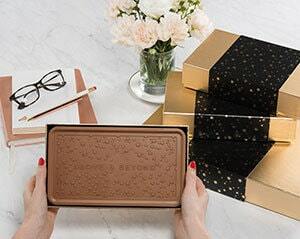 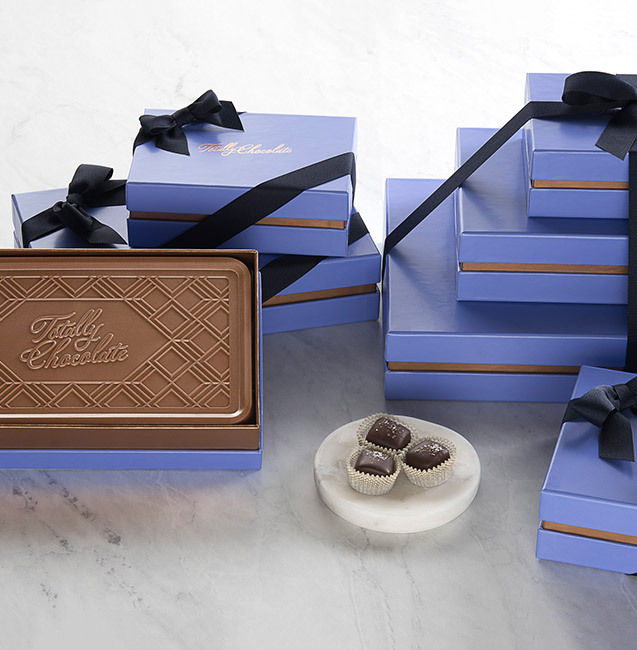 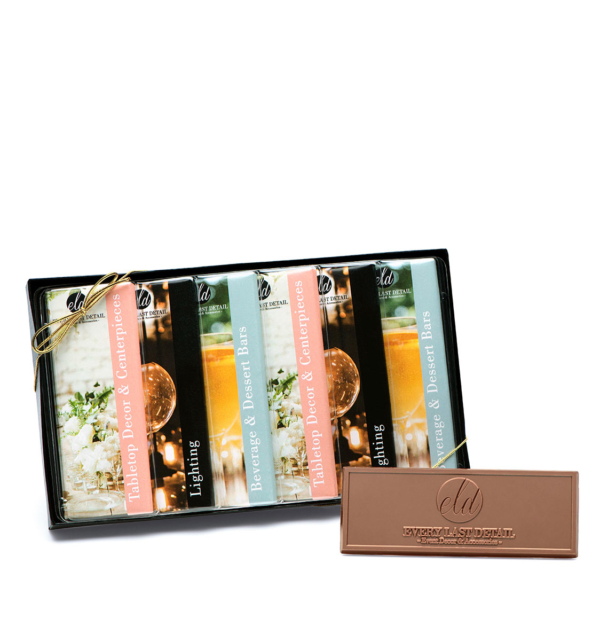 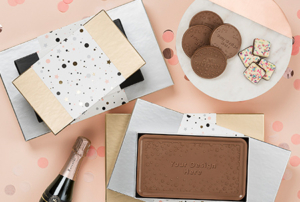 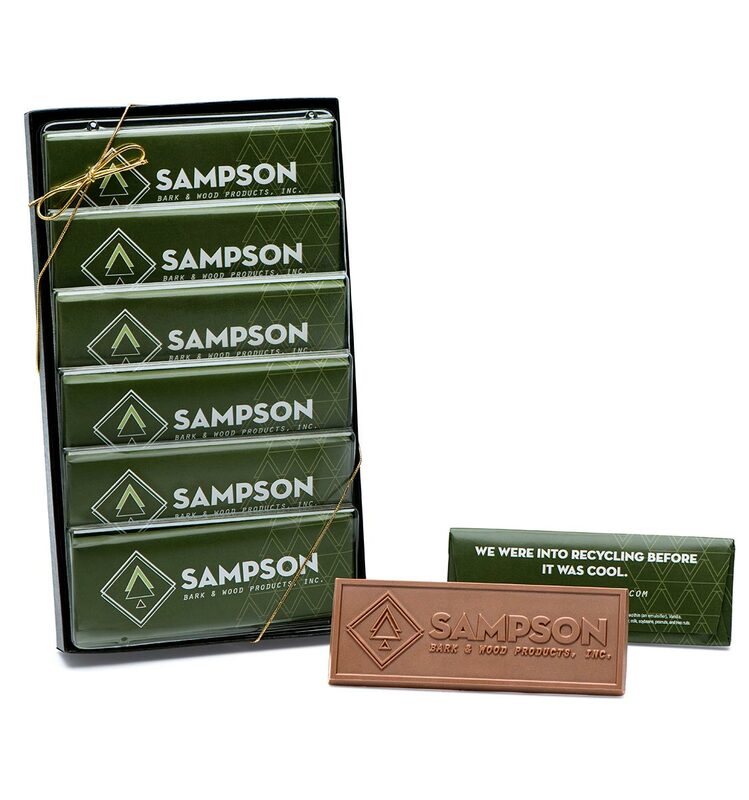 Our corporate wrapper bar gift set offers six of our popular custom candy wrapper bars in your choice of engraved Belgian milk or dark chocolate. 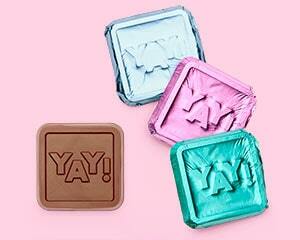 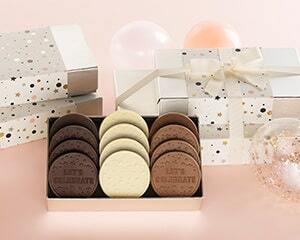 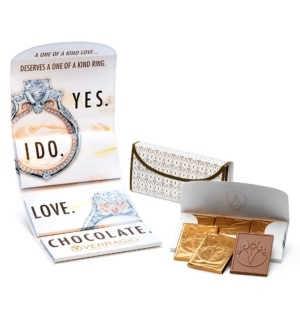 You can make one design it yourself wrapper style or choose up to six different designs to personalize! 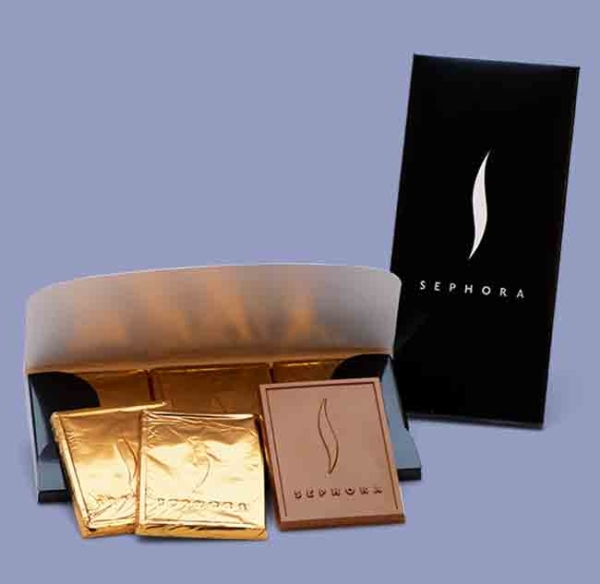 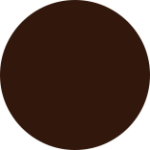 Packaging includes clear lid with gold or silver stretch bow, or our standard packaging options on the carousel below which include a 2×5 area to create your own designs. 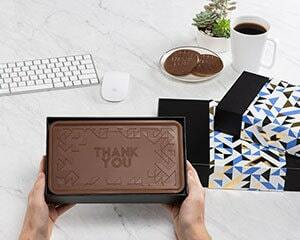 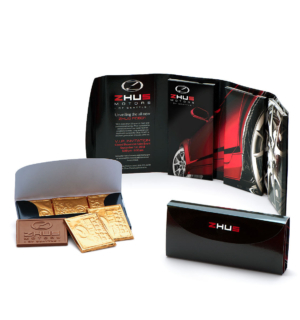 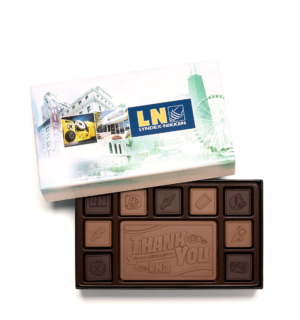 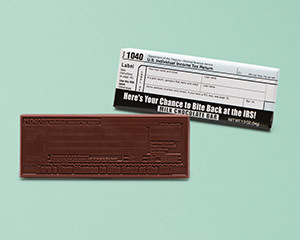 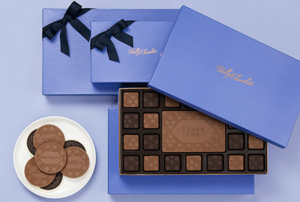 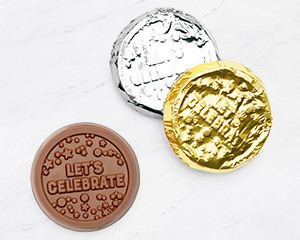 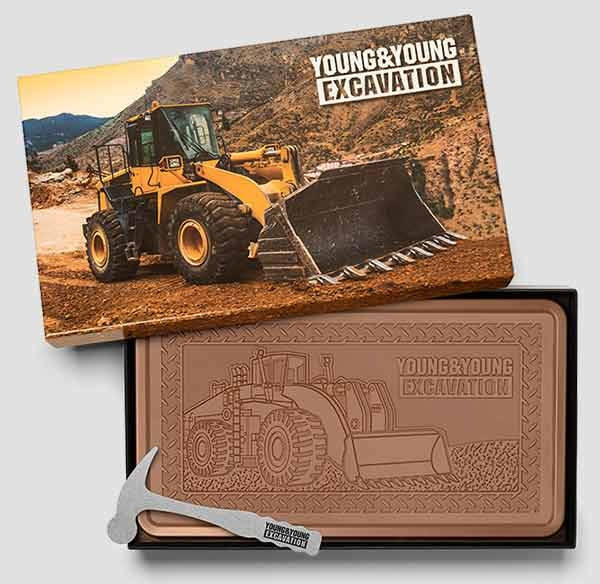 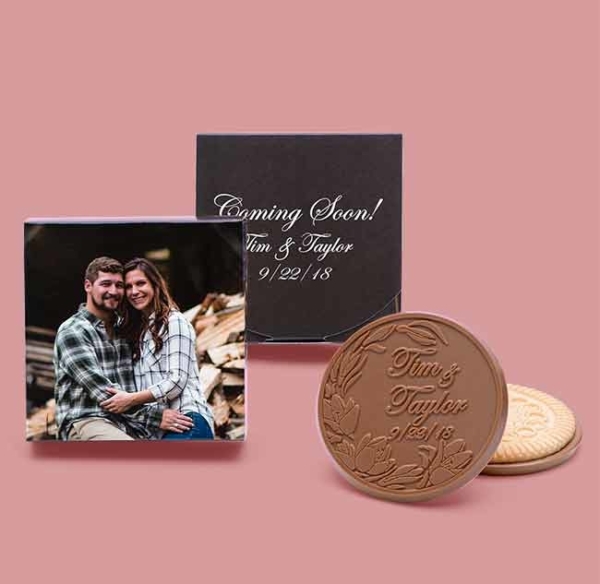 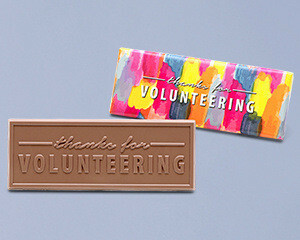 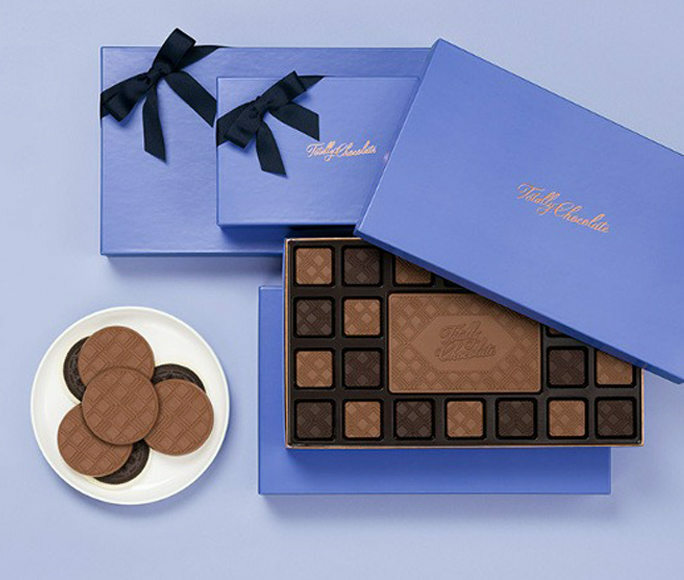 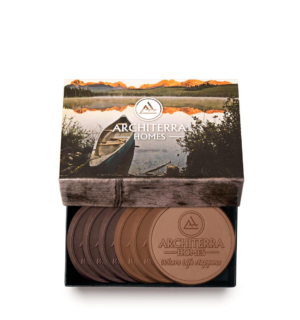 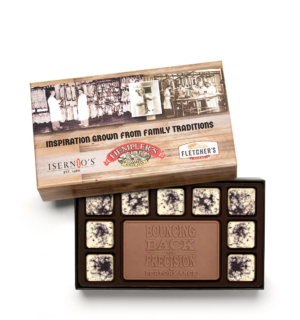 This personalized chocolate wrapper product would be ideal for corporate events, human resources employee appreciation events, design your own branded packaging or you can simply give as a custom chocolate business gift to your clients to say thank you.